While preparing NEET PG Obstetrics and Gynecology candidates need to check the schedule and pattern of online test series for NEET PG’s Obstetrics and Gynecology subject. Do a self-assessment & review of your weaker points. Pregnancy-induced HTN(PIH) New guidelines of PIH and its definition. Definition preeclampsia. DRUGS Study the drugs which are safe during pregnancy and the drugs which are contraindicated. Reproductive physiology When the cardiac output peaks, when the TPR peaks. 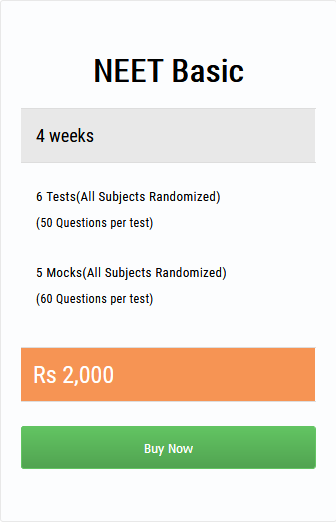 Prepare for NEET PG with the best online study resources at – http://medexamsprep.com. Here you will find everything that you need to crack this exam. Get started now! MedExamsPrep the online resource for NEET PG Medical exam preparation delivers you the Best Content for the NEET Examinations. MedExamsPrep’s Online Test Series for NEET PG Obstetrics and Gynecology helps candidates in testing and assessing their preparation level in the subject. We provide a strategic preparation method to the students with standards questions. The portal covers all concepts as per NEET syllabus. They also provide instant doubt clearing sessions for the students to get a detailed step-by-step solution to every question. Students can also track, mark, bookmark all the wrongly attempted questions and practice it for later.